Ok, so can’t QuickBooks Desktop or Sage do all those just fine? Yes, they can. However, they are not good at being fully integrated with your banking and credit cards and eliminating 100% of paper/cheque printing. Let me show you how it works with accounts receivable. In Xero you can create a sales invoice, email it to your client, see when they viewed it, which is great for follow-up purposes. You can give them the option to pay online. Your client pays online, and the payment is deposited automatically to your bank. Then when you turn on bank feeds in Xero it will automatically match that deposit to that invoice, saving bookkeeping time and errors. The source document and details are posted to Xero and attached to that transaction. When you go to pay it through an online payment process like Plooto then the bill payment is taken out of your bank automatically and the bill is recorded as paid in your accounting software. This is all done without paper, securely, and safely, and with minimal – very minimal – data entry. 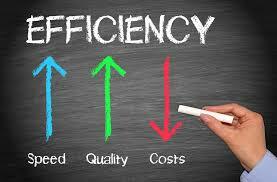 Why is Cloud Accounting So Efficient? Some basic functions as above can be done very well by desktop software just not with the document extraction software and ease of paying online, and no bank feeds. Bank feeds are simply a stream of transactions as they occur daily being linked to your accounting software for reconciliation/recording. No more waiting for month-end to reconcile and record transactions. What makes cloud-based software so incredible is not just the back-end it is the front-end. It is the operational piece of your business. You see a lot of people have the mistaken notion that an inexpensive program like Xero should do pretty much everything! Xero was not designed to be all things to all businesses. It was designed to do some core functions better than anyone else, and then open up its code so others could create add-on software that together turns Xero into an 800 pound Gorilla. Before I reveal to you the full power of cloud accounting, let me digress and explain a huge limitation of desktop software. Desktop software for small businesses has developed beautifully over the past few decades. What started as simple software for jobbers and painting contractors (think early QuickBooks, and Simply Accounting) evolved by adding more and more really great features. The gap between higher-level expensive software started to close and we saw larger and larger businesses starting to use QuickBooks. QuickBooks then came out with an Enterprise version for more users with many more complex features like Bill of Materials for small manufacturers, as an example. The problem, though, is that no software can adapt to the incredible number of industries out there that have unique and specialized software needs. Desktop software is also confined to – at best – running off a server with a very limited number of concurrent users. There is no limit to the number of users in Xero! (for the same low fee, unbelievably). Then, in the evolution of accounting software we saw very specialized software companies emerge that created unique software for different industries – think Broker Wolf for Real Estate brokerages, or Yardley for property management companies, etc. The challenge here was that, as great as these programs are, they couldn’t be all things to all people. And inevitably, their accounting functions inside those unique software programs were very weak. To get around this the better software companies would create an export/import function from their software to, say QuickBooks Desktop. And, for a long time, that was a decent solution. You got the power of the operational side for your industry and the quick efficiency of QuickBooks for the back office. 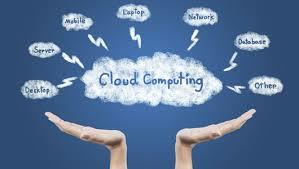 With cloud-based accounting it is a much more highly integrative eco-system. In other words, the front-end software usually integrates (often it is even built around software like Xero/QuickBooks Online) in real-time, as if it is an integrated module of the accounting system. So, what Xero and QuickBooks Online did was make it easy for developers to create an awesome software for a unique industry that seamlessly linked to their software in real time. And, as a result, we now have literally hundreds and hundreds of operational add-on cloud-based software to choose from in the Quickbooks and Xero Marketplaces. The key here is real time because no exporting/importing is required. The software – when well designed – runs as a wholistic package. Now, you get a powerful suite of software, each performing ONE thing really, really well! That is 4 pieces of distinct software where we would have just one before. Isn’t that more complicated? No – because each talks seamlessly to the other with no hiccups. And, each does something the other cannot. Together they are a powerful, unbeatable combination because they are so highly specialized in what they do. HubDoc is brilliant at document extraction, file management! No other software is as good in my opinion. HubDoc can eliminate 80% of data entry in accounts payable. Another is ApprovalMax. Inside Xero there is a basic “bill approval” function. This works fine for a single owner-operator business. However, once you have multiple departments, Purchase Order requisitions, and you need to route bills and Purchase Orders through different department heads then ApprovalMax is the software to use. This is all ApprovalMax does – approvals of bills, purchase orders and other work-flows. Now, let’s look at specialization. Imagine you are a small manufacturer or a wholesaler with multiple locations. For the manufacturer you will need what is called Bills of Material, or recipes of what raw materials go into making a finished product. A system that can track the flow of raw materials into finished goods in real time is complex. The same for the wholesaler who may have goods in multiple warehouses across the country. How to manage all that in QuickBooks, or even Xero? 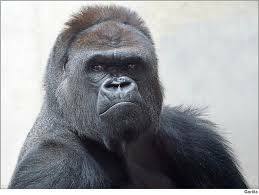 When you add a powerful – in this example – inventory management software that talks nicely to Xero/Quickbooks Online then you have created an 800 pound gorilla! An example of this is Unleashed. Unleashed is an inventory management software that can be used by manufacturers or wholesalers or retailers. Any business with lots of inventory to manage. It is so powerful that it can do just about anything you need it in the area of inventory management. It was built around Xero to take advantage of the core features in that amazing accounting software. All together you get an enterprise level suite of software. We are, in fact, seeing levels of transactions and sizes of businesses adapting to these basic cloud-based software in ways never seen before. I just read about a company in Australia putting through 10,000 orders a day through Unleashed/Xero. This is a company doing hundreds of millions in sales per year. You would not be able to run a business of this size through QuickBooks Desktop. It is impossible. The power of cloud-based accounting gives businesses speed, efficiency, and now scalability at a level never seen before. It will be fascinating to see where we go from here!